Having a career that allows you to be with horses all day is a dream many share. We have articles written by the top schools and people in the horse career education industry for you to enjoy and plan your future with. Summer Camp articles are fun to read and you should know these camps aren’t just for kids. Plan a fun experience for your family, yourself or that lucky child by getting excited with the information provided here. Taking the reins of your life firmly in your hands and making the decision that is the absolute best for you! 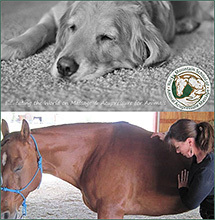 Technique combined with compassionate intention of touching fills the therapist's toolbox with all the needed skills to be an effective equine massage therapist. It is interesting to see how things have come full circle as my own children begin to show interest and discover different aspects of horses for the first time. Thinking on sending your child to summer camp? There are probably a million questions running through your head. This article will guide you on how to begin the search for your child`s summer escape. In today's economic climate, positioning becomes more important than ever. How people feel about you and the place people put you in their minds is your market position. 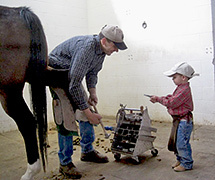 Choosing a qualified, competent farrier is one of the most important decisions you will make regarding horse care. Butler Professional Farrier School © 2011 All rights reserved. 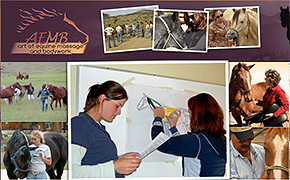 Horseshoeing is a great career with a promising future for those who like the work and are willing to work hard to develop the skills necessary to become confident, competent farriers . 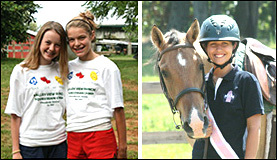 Lindsay graduated from Meredith Manor in March of 2005 after what she describes as “the most challenging, eye-opening 365 days” of her horse career. 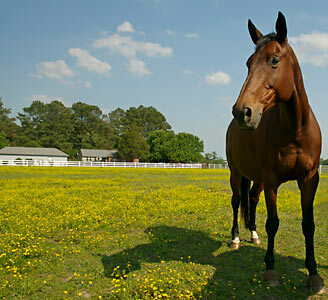 Many people who are training horses will ask them questions that the horse has no way of understanding or answering. Why Become a Farrier? by Doug Butler, PhD, CJF, FWCF Opportunities are Great! 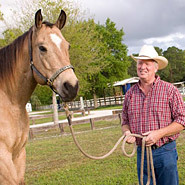 It is powerful, transformative way to learn to communicate with horses.